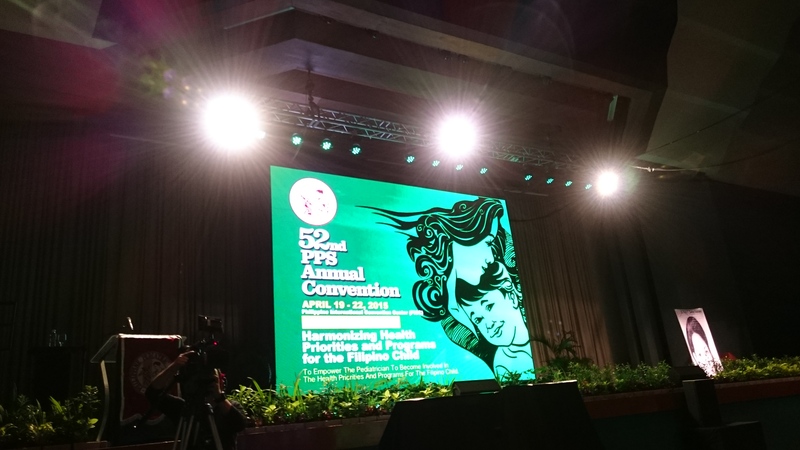 Last April 19-22, 2015, the 52nd Annual Convention of the Philippine Pediatric Society was held at the Philippine International Convention Center (PICC), Pasay City. The theme of this year’s event was Harmonizing Health Priorities and Programs for the Filipino Child. More than 5,000 pediatricians from all over the Philippines attended this event. Ma. 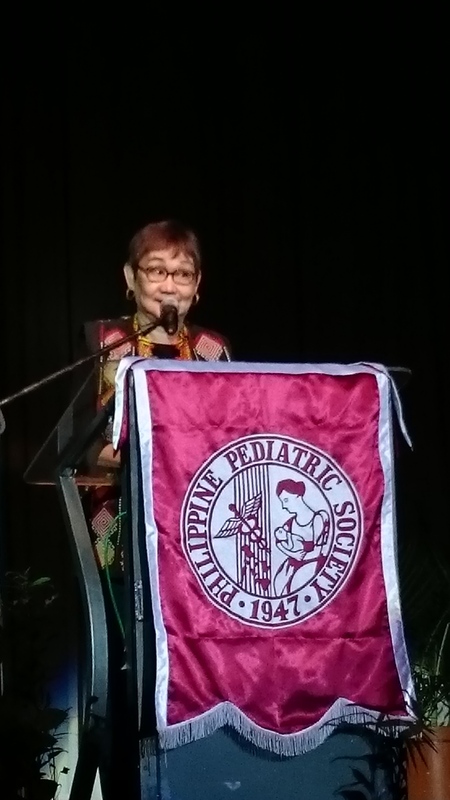 Lourdes A. Carandang, Ph D, RP, was invited to give the distinguished Perla Santos Ocampo Memorial Lecture. 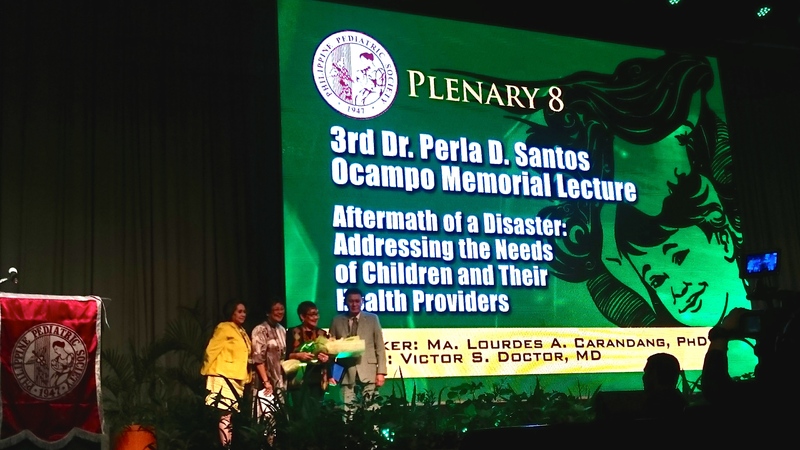 Her talk was entitled Aftermath of a Disaster: Addressing the Needs of Children and their Health Providers. She started with discussing the importance of fostering readiness to address these needs given that the Philippines is a disaster prone country experiencing an estimate of about 20 typhoons a year. Since children are both the most vulnerable yet most resilient ones affected, there’s a need to understand the phenomenon’s impact on them and what can be best done to assist in their recovery. She began with a discussion on the signs of trauma, and followed it up with techniques that may be useful in assisting their healing process, specifically the Play and Mindfulness-Based Expressive Arts Therapy or the PMBEAT, a psychosocial intervention and therapy approach that she herself innovated and applies in her practice. She also emphasized that the caretakers of the children may also experience trauma through vicarious traumatization, or secndary trauma. In addressing the needs of the Health Providers of these Children, she emphasized the need for self-care, as well as the application of PMBEAT to aid their healing as well. The talk ended with some important reminders for the health providers as a guideline to enhance their practice.